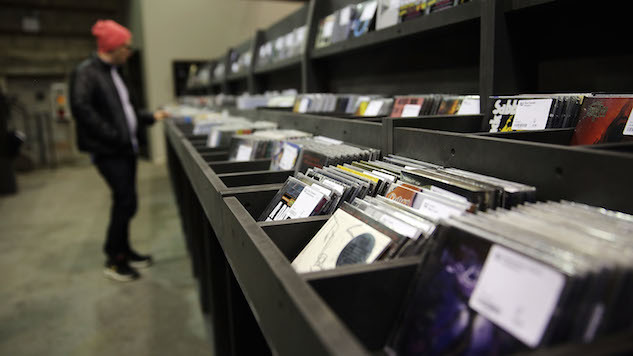 According to the Recording Industry Association of America (via The Quietus), sales of physical music rose above those of digital downloads last year in the U.S. for the first time since 2011. The RIAA’s new data reveals that overall sales for physical and digital music last year increased 16.5 percent to $8.7 billion. Overall physical sales decreased four percent from 2016, which the RIAA say is “a lower rate of decline than recent years.” As many have long seen coming, digital downloads are in trouble, as they fell 25 percent in the U.S. in 2017 with news of Apple planning to completely phase out music downloads as early as 2019. However, it’s clear that streaming is still the dominant force in music distribution today, making up 65 percent of total music revenue, thanks to services like Spotify, Apple Music and Tidal. Streaming rose to 35 million last year, compared to 2016’s 22.7 million. There are also many changes ahead for streaming in the next year with news that Spotify will go public and will offer shares up to $1 billion, and YouTube planning to throw their hat into the music streaming ring, as well. The increase in physical music sales is likely due in part to the increase in vinyl sales through major retailers like Barnes and Noble, Target and Urban Outfitters, as well as events like Record Store Day and (believe it or not) Cassette Store Day. In regards to CDs, despite bleak numbers and news earlier this year that Best Buy will discontinue their sales of CDs, Salon rightly pointed out that CDs are still the most popular format for people purchasing records. Check out some of this year’s forthcoming Record Store Day (April 21) releases here, including exclusives from David Bowie, Prince, The National, Courtney Barnett, The Cure, Parquet Courts, Fleet Foxes, Arcade Fire and more. Run The Jewels were announced as the ambassadors for this year’s event and they will also release a Stay Gold Collectors Edition vinyl box set. Read the full 2017 year-end report from the RIAA here.